Hoggs of Fife Field Pro Hunting Gloves are fitted with a waterproof and breathable membrane, making them suitable for all types of weather. Wrists are elasticated and include an adjustable Velcro strap for the perfect fit. 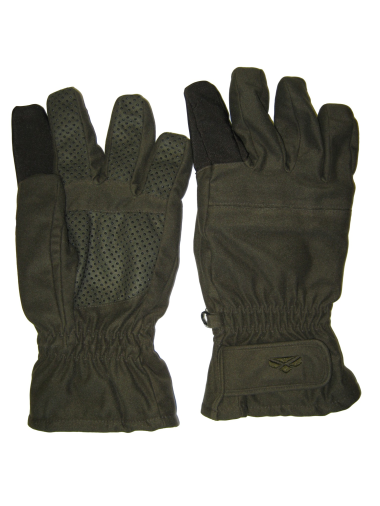 The Field Pro Hunting Gloves also include anti-slip gripper dots to palm, thumb and non-trigger fingers for an excellent grip. Soft and warm polyester lining and shell fabric in 100% hardwearing sueded polyester. Sensitive and soft nylon covered trigger finger on both gloves which are suitable for right or left handers.